On Wednesday, the new chief of the US Broadcasting Board of Governors (BBG), Andrew Lack, told the New York Times that RT posed a significant challenge – putting the broadcaster in a list alongside the Islamic State and Boko Haram terror groups. “In the history of incoherent statements, this might be the granddaddy of them all. In reading this, he alleges that Russia Today pushes… ‘a point of view,’” he told RT’s Ameera David. Georgetown University journalism professor Chris Chambers added that Lack’s words were “supremely silly and careless,” especially considering his media background. Lack previously worked for NBC, Bloomberg, and Sony Music. While Lack’s comments were roundly criticized, Steven Ellis of the International Press Institute said he was right in one way. “Mr. Lack could have phrased his comments more carefully: RT does indeed pose a challenge to US international broadcasting in terms of competing for viewership,” he said. Asked about the issue on Friday, State Department spokeswoman Jen Psaki distanced the US government from Lack’s comments, saying it doesn’t agree with the statement. “Would the US government put those three in the same category? No, we wouldn’t,” Psaki said. However, she said there are “concerns” the US does agree with, stating that Russia’s independent media is under pressure and that BBG’s ability to broadcast in the country has become more difficult. 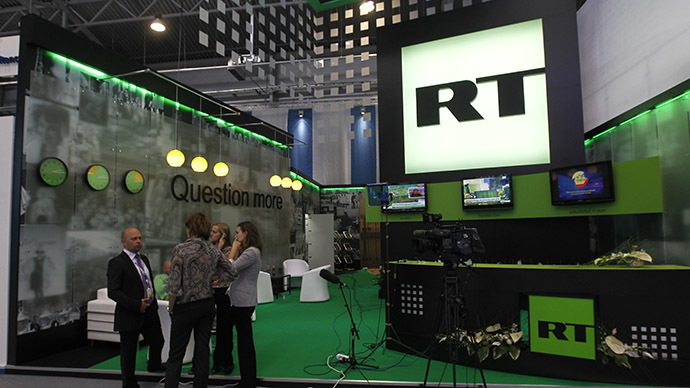 RT’s editor-in-chief Margarita Simonyan condemned the comparison and demanded clarification. To Lionel, the comparison was also troubling because Lack began his tenure on questionable footing by targeting another media outlet instead of expressing a commitment to spreading the truth. Still, Lionel pointed to the reaction on social media, which spread under several hashtags including #NEWSISNOTTERROR, and from other outlets as a sign of optimism.